The crew heads to the Imperial Valley in southern California. The caravan's destination is Glamis where big winds have made the sand dunes larger than ever. The caravan continues touring the Imperial Valley and heads towards Ocotillo Wells. This is the heart of the California Desert with many known and unknown riding zones to be found. The crew takes on Superstition, CA, a mecca of steep, abrupt cliffs and mud hills akin to the infamous hits of the more popular Ocotillo Wells area. The crew takes on untapped and unexplored terrain outside of Flagstaff, AZ, with tons of big doubles and hips, before they set off for Big Water, UT. The crew explodes with hits, tricks, and shenanigans in Cainville, Utah, which many claim to be the North Shore of natural terrain moto. The crew will start in San Diego and head south to Imperial Valley, California. This is the heart of the California Desert with many known and unknown riding zones to be found. 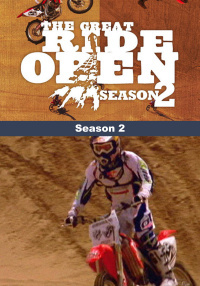 The caravan will depart from Jeff Tilton's house in Lakeside California and move to the sand dunes of Glamis. 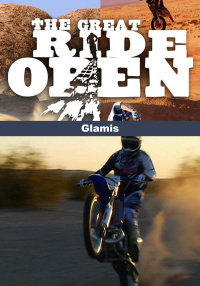 The Glamis sand dunes are a famous location, some of it has been ridden a lot and some that is pretty much unexplored. The sand dunes are constantly changing so riding here is always new.